When the rain just doesn’t seem to go away, finding ways to keep your child entertained can feel like a daunting task. However, rainy days provide the perfect opportunity to help instill a lifelong love of reading in your child. The five suggestions below are excellent options that your child is sure to love.#1 – The Rain Came DownIf everyone seems especially sleepy or grouchy on rainy days, they certainly aren’t alone. This book by David Shannon is a testament to that. The story focuses o..
With each passing year, the importance of early childhood education becomes increasingly evident. Studies have indeed shown that exposure to early learning can help children grow academically later in life – but there should be much more to preschool class-time than reading, writing, and arithmetic. Here are a few things that you should keep in mind when looking for in a quality preschool curriculum for your little one.Understanding the Key Factors in Good Preschool CurriculumLearning is vital..
As a preschooler, your child already has a leg up when it comes to preparedness. He or she has already experienced spending the day outside of the home with other kids and adults. 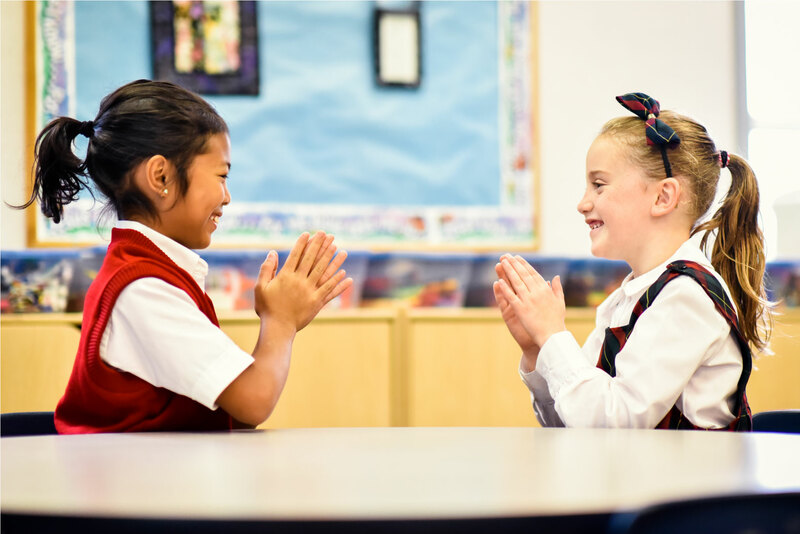 However, because the academic expectations of elementary school are far greater than those in preschool, now is the time to start teaching good habits that will serve your child well all throughout childhood. Here are some ways in which a morning routine can do just that.The Benefits of a Morning RoutineA morning routi.. Many preschoolers are fascinated with learning how to write their names, but without the proper guidance, their efforts can be in vain. Fortunately, there are several fun tips and tricks that you can use to help your preschooler learn to write not only her name, but many other words, too. From providing the right supplies to setting a good example, your child will be writing neatly in no time.Provide the Right SuppliesIt’s important to remember that your preschooler does not yet have the capac..
Kindness is one of the most important traits any child could have, and like many others, their ability to treat others with empathy and kindness starts at home. 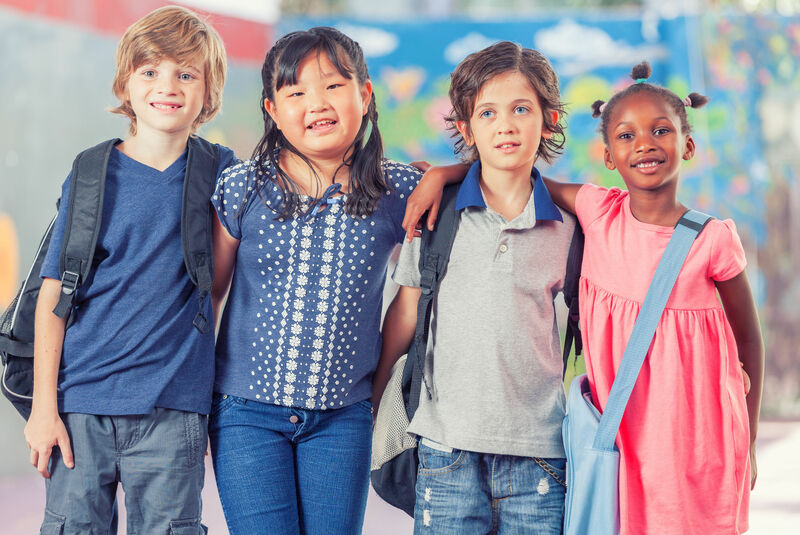 There are several things you can start early on in your child’s life to help him or her learn to be kind to others in school, and the following four represent some of the absolute best and most effective.Be a Role ModelPreschool aged children are sponges, and you have likely already experienced this to a degree. If you say something, t..
Preschoolers and very young children often express interest in just about everything. After all, they are experiencing many things for the very first time, and the world is very much a magical place. 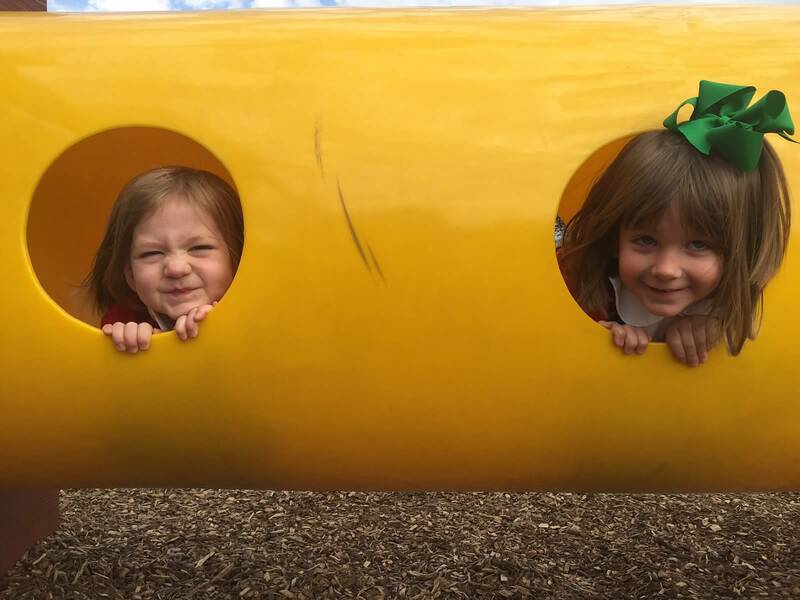 It would seem there’s nothing that can make a preschooler happy, but most preschoolers tend to express more interest in some things than in others. Here, you can learn more about the best ways to help your preschoolers develop their passions early on and why it’s never too early to start.Studies..
To at least some degree, all preschoolers will display some difficulty in paying attention, particularly when dealing with things that they don’t find especially fun or interesting. 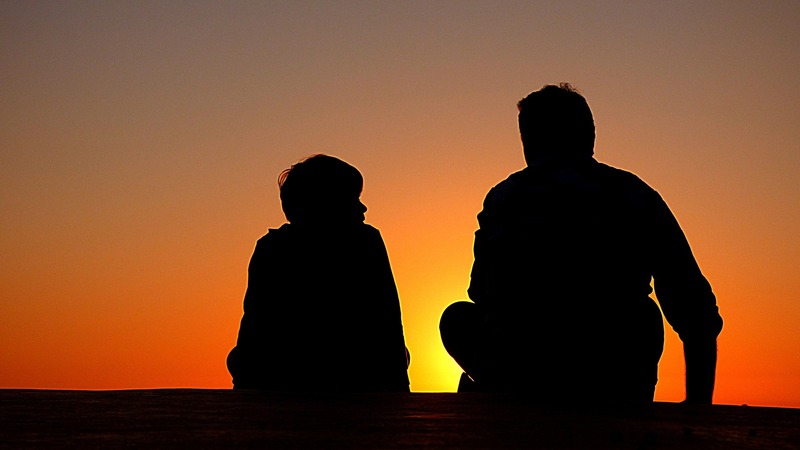 However, if you think your child’s attention issues may be something more, or if you simply want to help your child learn to pay closer attention, the following tips may help.Age-Related or Something More?Preschoolers are like little sponges, and they absorb the world around them at an astronomical rate. Their li..
Summer is in the air, and that means bugs – lots and lots of bugs. Whether your child seems to be entranced by these creepy-crawlies or terrified, familiarizing your child with insects is a great idea. Here are five different books on bugs that your child is sure to love regardless of his or her opinions on insects.#1 – The Icky Bug Alphabet Book by Jerry Pallotta This outstanding book by Jerry Pallotta is a fun way to teach your child the alphabet through the introduction of icky insects. N..
Summer vacation from school has always existed, but back when the concept was conceived, it was to allow families to work together to raise animals and crops that would ultimately feed them through the winter months. These days, summer breaks give families opportunities to do things together, but it’s important that your kids never stop learning. 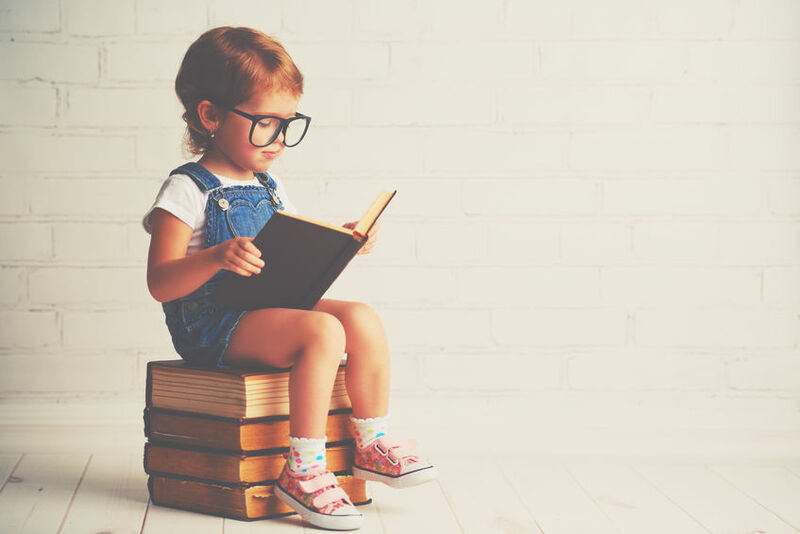 Here are some reasons why your preschooler should be learning all the time.It Hones Critical ThinkingIn today’s high-tech world, critical thinking ..
Summer is just around the corner, and that means it’s a few weeks of fun in the sun before school starts up again. 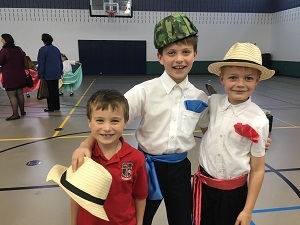 If you want to make sure your child has a fun summer that is filled with learning opportunities, there are plenty of things you can do. 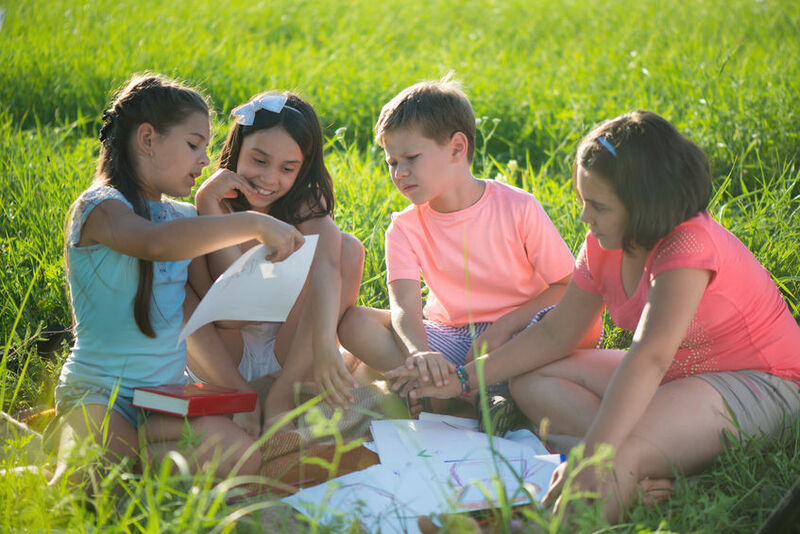 Here are some awesome ideas for encouraging your child’s love of learning through summer activities.Check Out a Children’s MuseumDepending on where you live, you might have a children’s museum nearby. Even if it’s a bit of a drive, it’s ..
Toys are an important part of your preschooler’s learning and development, but not all toys are created equal. If you truly want to foster a lifetime love of learning, then you will need to choose toys that spark your child’s imagination and give him or her the opportunity to be creative. Here are five of the best toys to help your child do just that. #1 – The Moodsters Feelings FlashlightSmall children often have difficulty expressing their emotions. 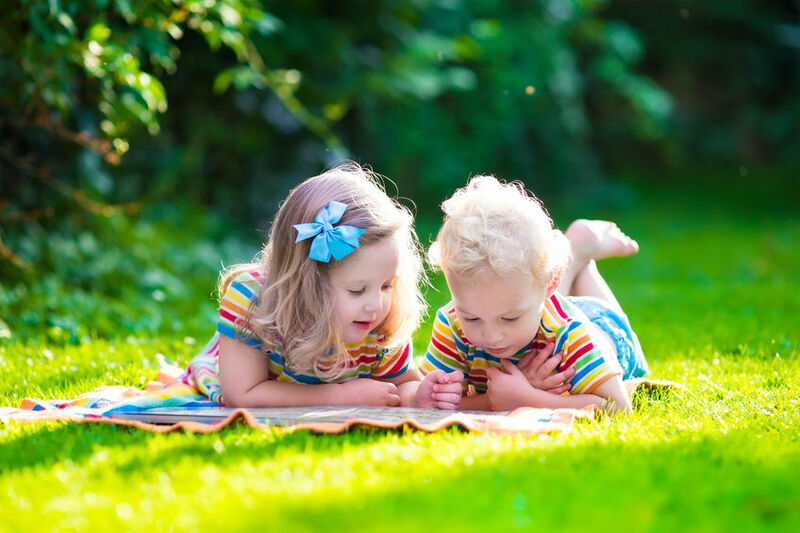 In fact, that’s why they often have ..
Extensive research has revealed that Pre-K and Pre-School children can lose up to 22% of what they have learned during the year over the summer vacation period, especially if they are not continually stimulated during this time. 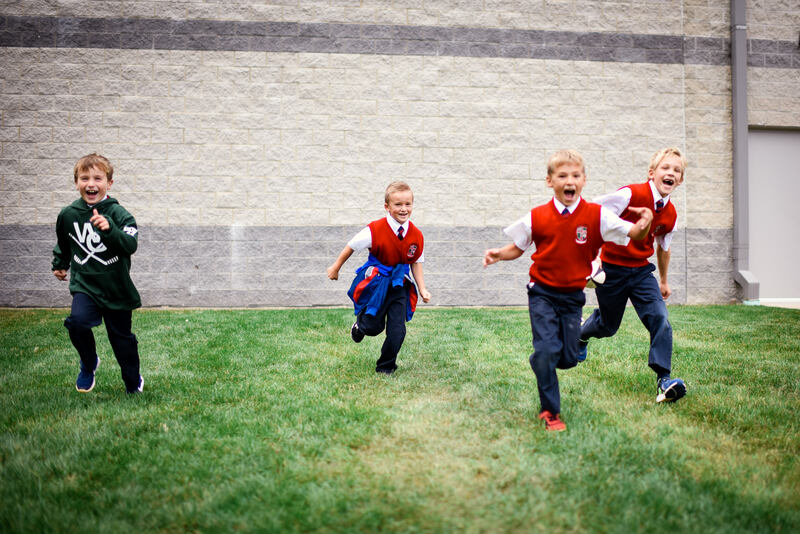 As a result, it is strongly recommended that you start planning now to ensure that your child continues learning as much as possible during the longest vacation of the year – while still having fun too, of course.Encourage your Child to Read DailyWhen asked for ideas t..
New school uniforms, backpacks, friends, teachers and classrooms can make starting Pre-School an exciting time for most children. 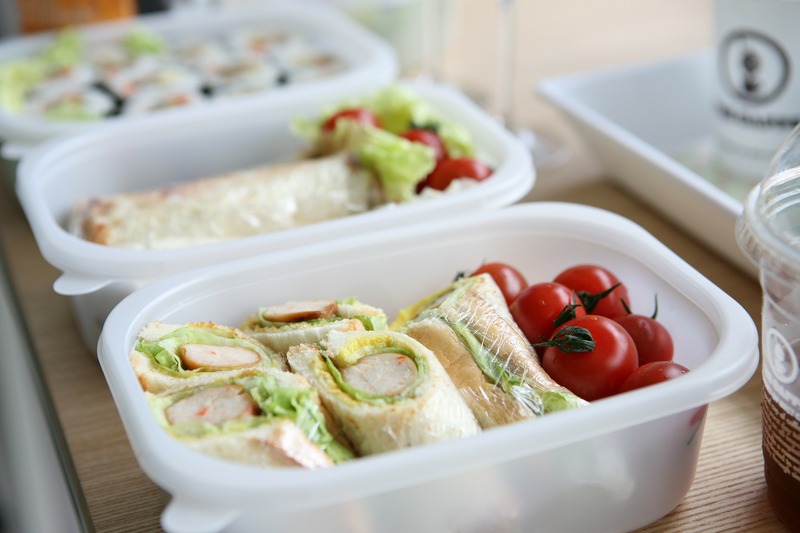 Although you may have ensured that your child has all of the books, stationery and other items they need to ensure a successful school day, you may still be concerned about providing them with the best possible lunch options as well. Below are some tips for packing a nutritious and appealing lunchbox for your Pre-School child.Plan AheadTo avoid the last-minute rush of.. 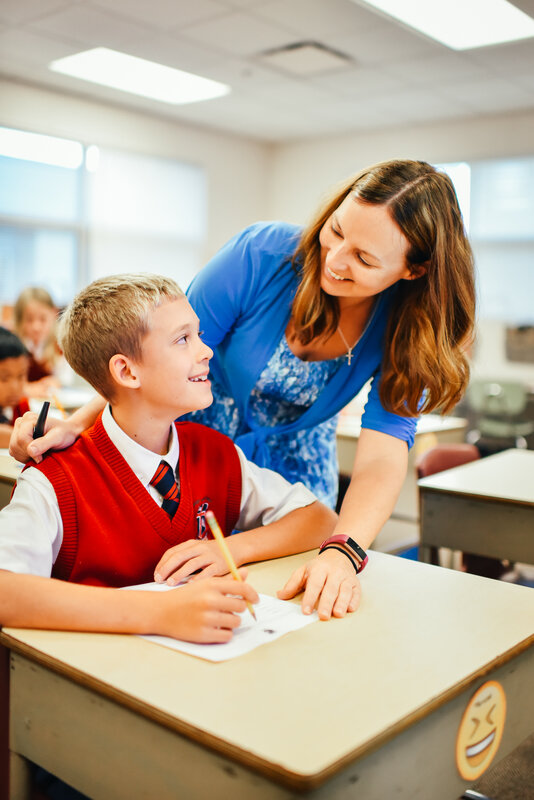 Although several children are able to thrive in a public schooling environment, many others simply cannot cope in settings where there are extremely high teacher to student ratios. This has resulted in a large number of parents choosing to place their Pre-K children into smaller private schools such as East Lake Academy.Obtain Top Quality EducationWhile many public schools can provide a great education, little else is able to match the quality of learning that is provided by small independent Ca.. 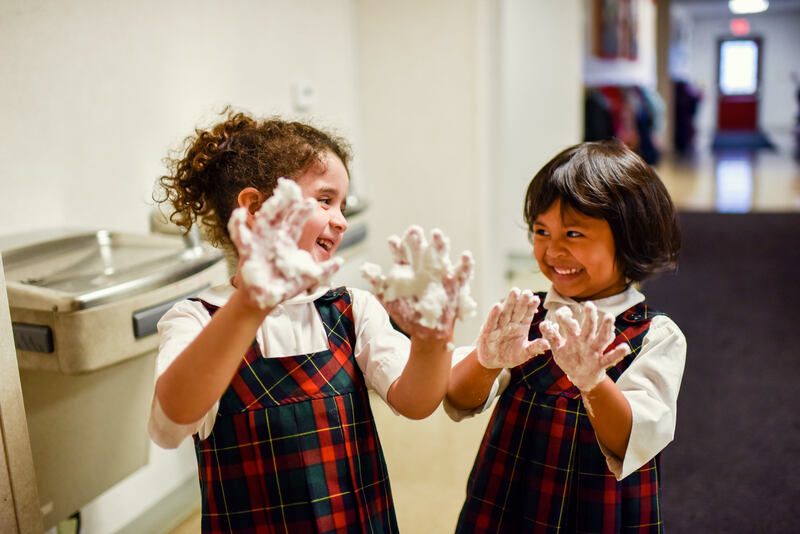 Although the primary focus of your Pre-K child’s vacation time should be for them to have as much fun as possible, there is nothing wrong with incorporating a little learning in here and there. Here are a few handy ideas for activities and tasks that will help ensure that your child is able to learn while still having as much fun as possible during vacation times.Get Them Involved in Arts and CraftsThis is one of the best ways to keep your child occupied when the first rounds of, “I’m bore..
Several of today’s adults may never have attended Pre-School or even kindergarten. However, constant changes and an increase in the use of technology in schools have made this a crucial part of a child’s education these days. 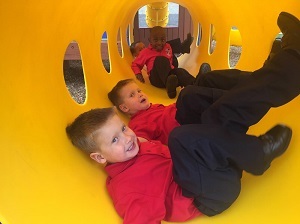 Below are a few ways in which the educational model at East Lake Academy has been designed to ensure the complete success of you Pre-school child.Encouraging a Love of Learning from an Early AgeResearch has revealed in many cases that children who have the privilege of .. Many people think that there isn’t much of a difference in the type of classroom furniture that is used. However, this is not the case, especially where younger children are concerned. There are various types of classroom furniture that have been made available to help promote and encourage learning in younger children, some of which will be mentioned below.Furniture that FitsFirst and foremost, it is crucial that child-sized furniture be used to accommodate younger children. Tables and chairs..
For many families, preschool marks the very first occasion in which kids are separated from mom and dad and instead surrounded by peers. 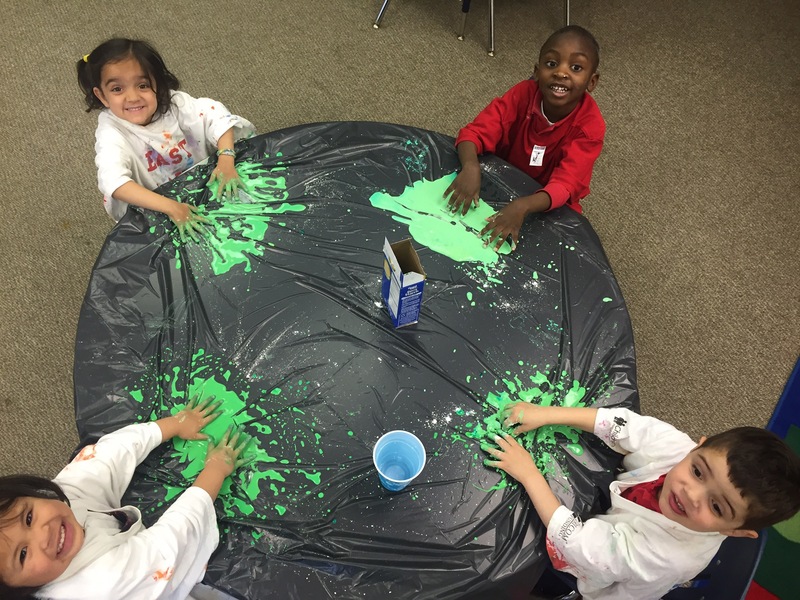 Though this can be a troublesome time and lead to significant separation anxiety, there are things you can do to ensure your child has a wonderful preschool experience. Look for the following preschool wish list items when choosing a school, and you can rest assured that your separation anxiety will be short-lived.Shared Family ValuesOne of the most important t..
With technology taking education over at a rapid rate, more parents than ever are keen to provide their kids with every available tool to ensure success. The 5 educational apps below have not only received a thumbs-up from teachers; Pre-K students also thoroughly enjoy using them.1. Starfall ABCsThis early learning app is fantastic for teaching the alphabet and phonics, while also encouraging young kids to improve their listening skills.Skills are taught audibly, visually and within sentences an..
One of the best ways for young kids to learn about the world around them is by taking fun and educational field trips to various destinations. If you have been tasked with the project of finding great field trip destinations for kids of Pre-K or Pre-School age, the list below will help get you started.1. The Field MuseumDinosaurs and other creatures fascinate most Pre-School kids. 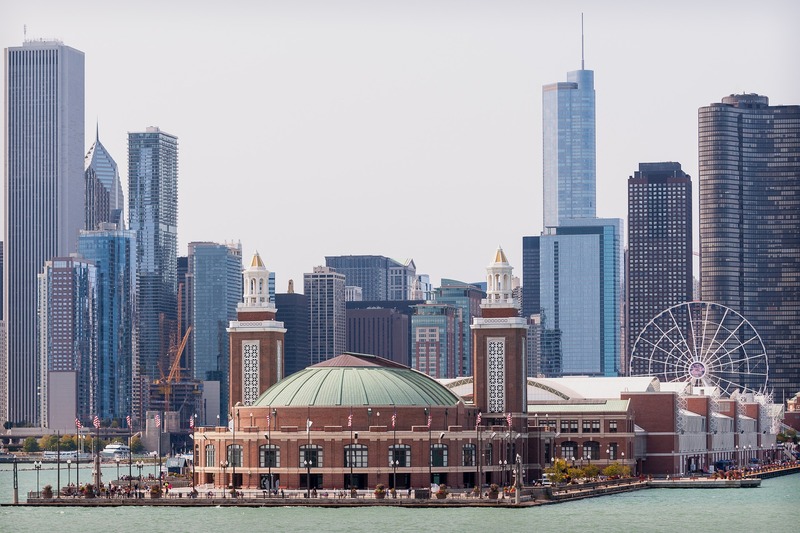 The Field Museum in Chicago has a fantastic array of displays on offer that is sure to wow virtually any kids in thi.. Virtually every parent knows how important it is to read to their Pre-K and Pre-School kids regularly. 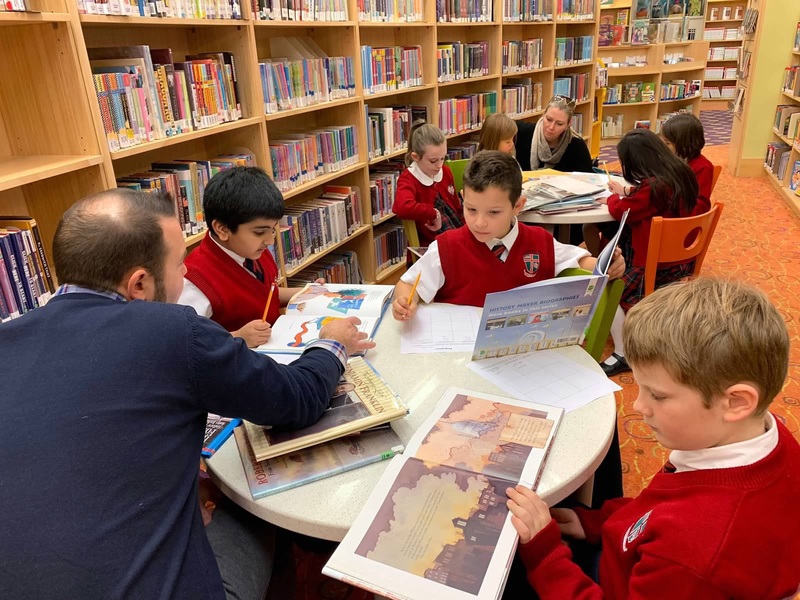 However, when it comes to choosing age- and subject-appropriate books, many parents find themselves feeling overwhelmed at the sheer selection of reading material that is available. Below are five of the most popular books available for kids in these age ranges.1. Last Stop on Market StreetNoted for being a New York Times Book Review Notable Children’s Book of 2015, this book features several..
Parents living in the Lake Bluff, Lake Forest, and Libertyville area have plenty of choices when it comes to their child’s care during the daytime hours. There are babysitters, there are daycare centers, and there are preschools and pre-K programs everywhere. 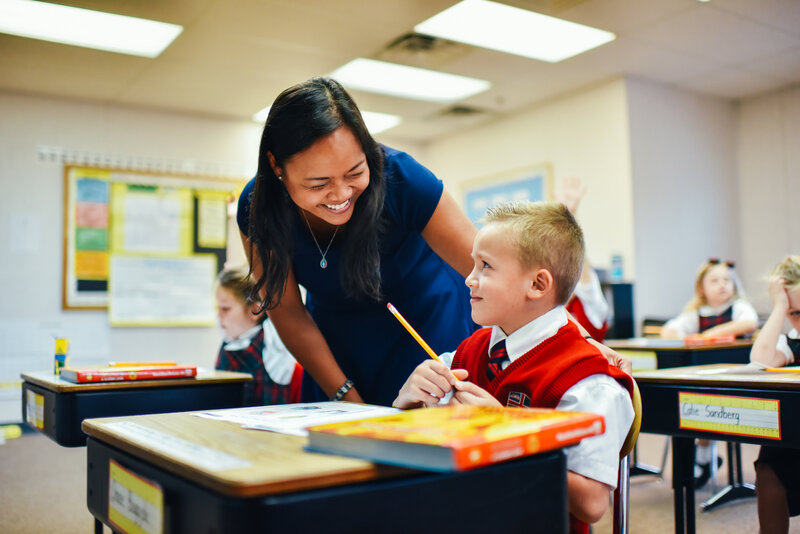 If you have decided to enroll your child in a pre-K program at East Lake Academy, Chicago’s premier Catholic private elementary school, here are some tips for helping him or her prepare for the transition. 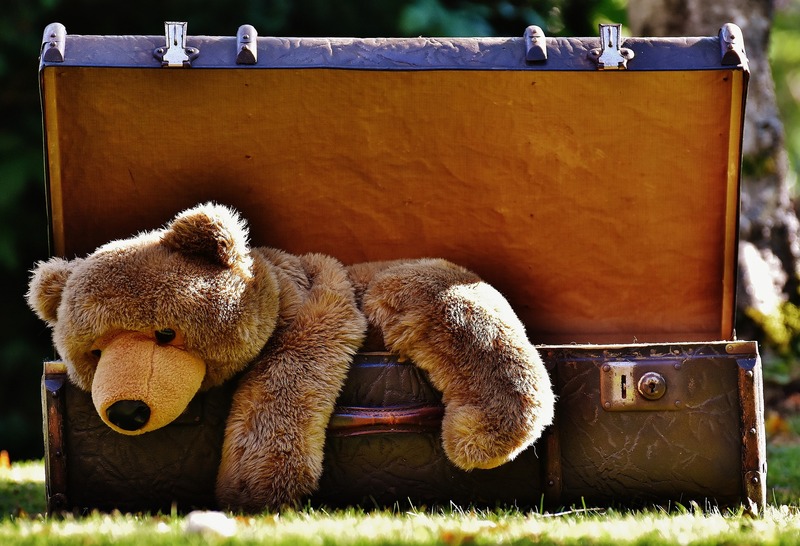 “Pretend” Preschool Play O..
Preschool-aged children can experience some separation anxiety during the school year, and this is especially true if they have never been in such a setting before. Though these children will need some time to adjust to a new routine, where they must leave home and spend their days with other children their same age, sometimes parents need some help adjusting when they have to go to work, too. Here are some tips for making those adjustment simpler for both you and your child. 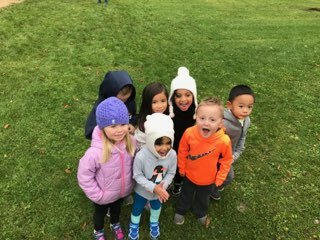 #1 – Practice Bei..
Why Preschool Learning is So Important to Laying the Foundation for Future LearningWhen many of today’s adults were small children, preschool was not considered an important part of childhood. 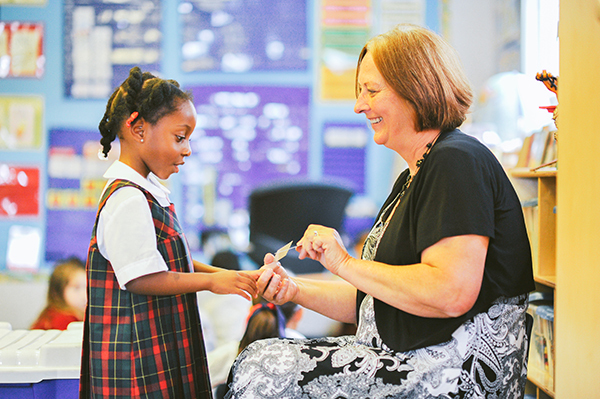 In fact, many of today’s adults never even attended kindergarten – they simply went to first grade and beyond. 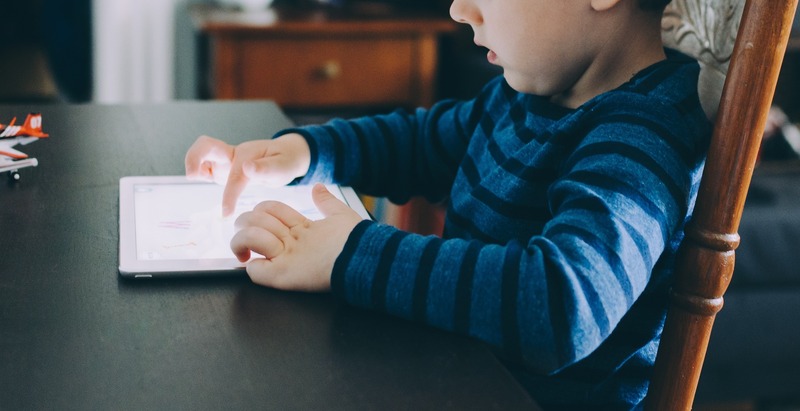 However, as the world continues to become a busier, faster, and more high-tech place to live, there is benefit in laying the foundation for future learning early on. Here are some reasons wh.. 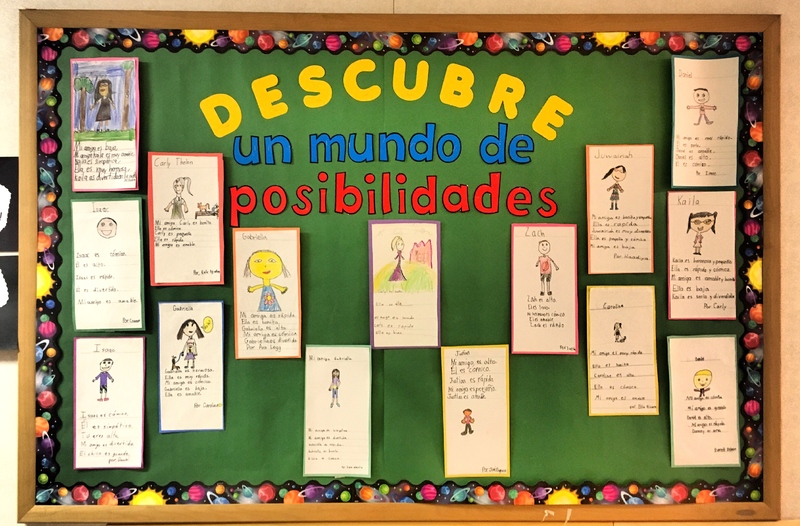 Innovative Curriculum Ideas for Pre-K ClassroomsPre-K students are excited about going to school, learning, and seeing their new friends every day. 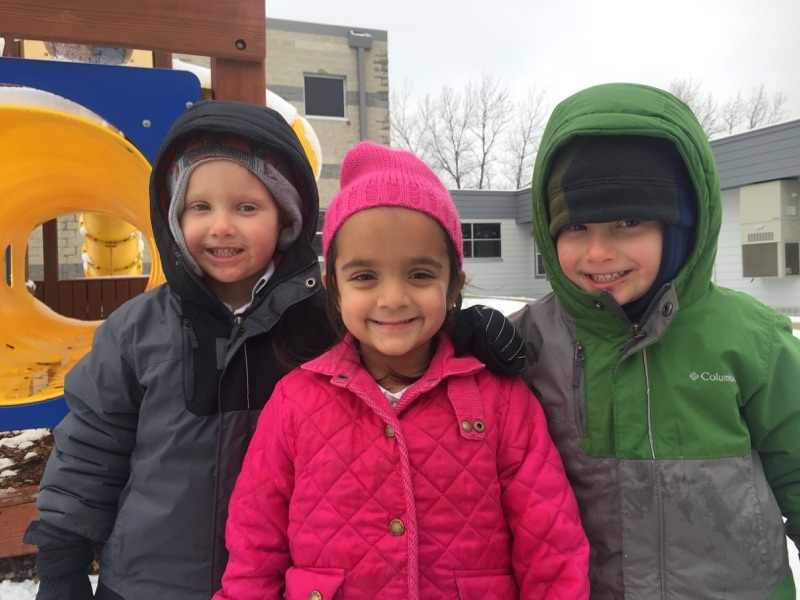 While many schools (and even daycare facilities) don’t take a serious approach to learning at this age, private schools in Lake Bluff, Lake Forest, and Libertyville certainly do. At this young and impressionable age, innovative intentional curriculums combine learning with play to create the perfect environment for your little one.Introducing Techn..
Preschool students are developing important math concepts which will lead to future success in math. The Saxon math program, which continues through grade six at East Lake, is the base for this instruction. 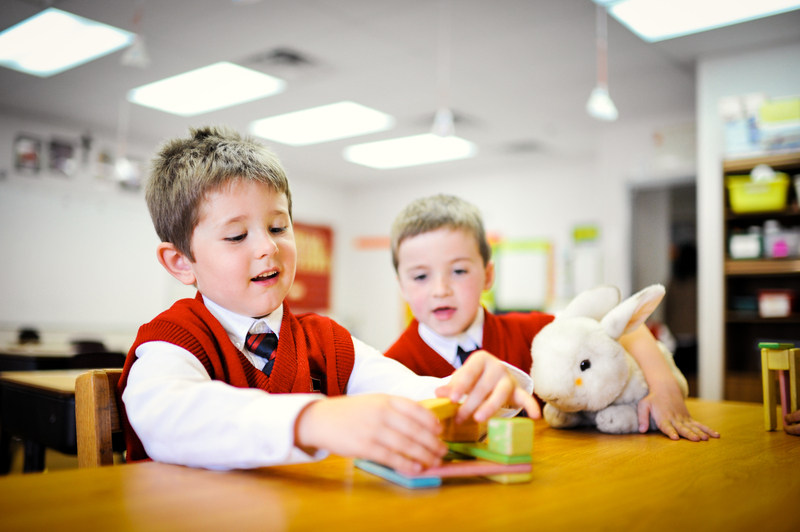 The age appropriate concepts are taught in small pieces and build gradually. 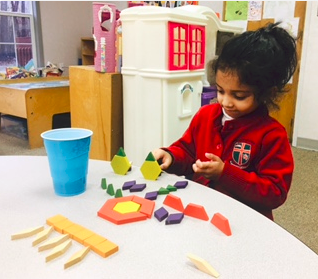 Constant review ensures that concepts become second nature to students.In Pre K 3, students are first exposed to ideas like patterns, sorting, counting, and number recognition. 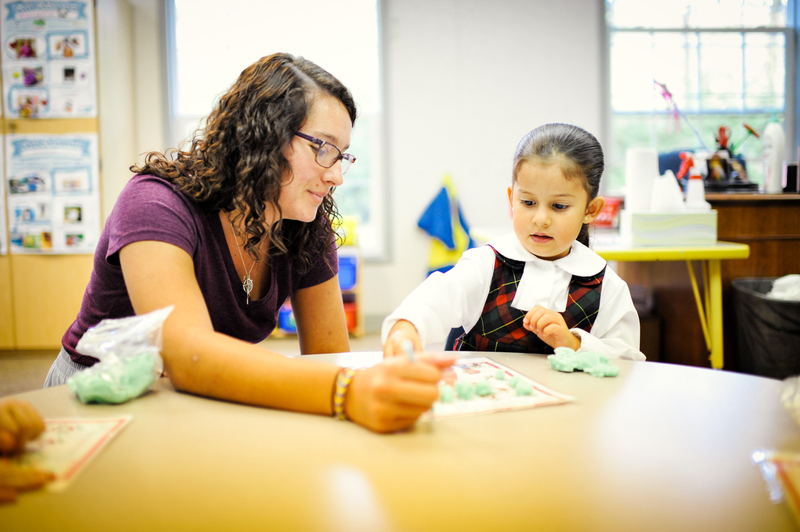 In addition, children begin calendar ac..
East Lake Academy’s Preschool 3 year old and 4 year old classes use a multi-sensory systematic approach to begin teaching reading, spelling, and phonics. We present concepts and skills in a cumulative manner, beginning with our 3 year olds. 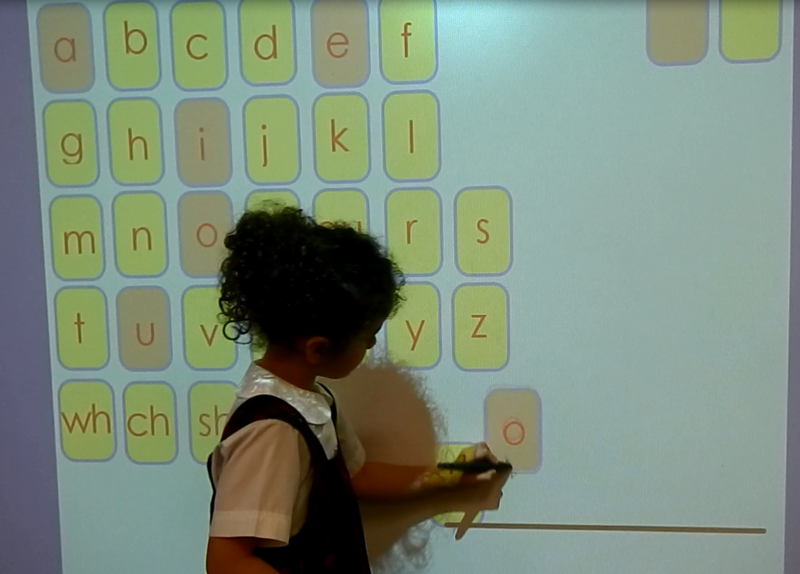 The students in Pre K 3 are introduced to lower-case letters, how to form lower-case letters, and letter sounds are presented using keywords (pictures) to help them remember the primary sound for each letter. The same keywords will be used at East Lake, beg..
East Lake Academy provides students with complete formation in body and soul and in order to execute this mission, we must form “virtue and integrity and lead our students…to become sensitive toward the needs of others.” This formation begins with our youngest Seraphim in the Pre K program and is accomplished through the structured and unstructured social opportunities provided to them.Socialization is an important part of a child’s development where they learn how to get along with ot.. 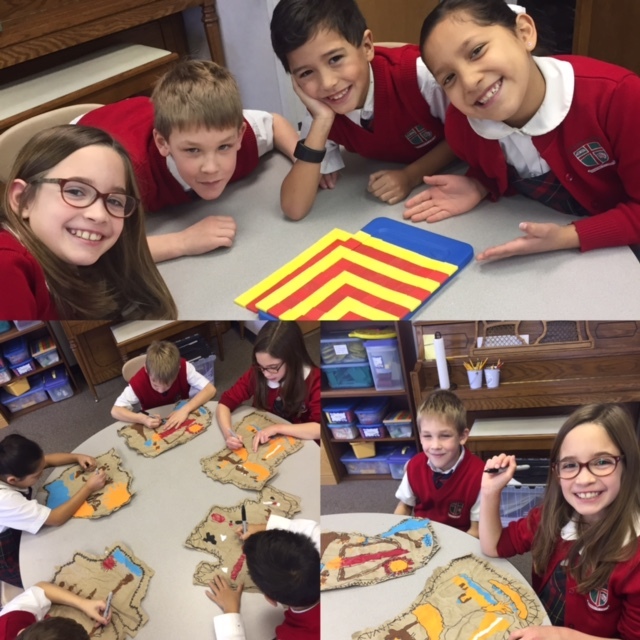 Using the series by Ignatius Press, Who Am I, that is based on the writings of Pope John Paul II, the students are exposed to the teachings of the Catholic faith in an age appropriate way during daily Religion class. 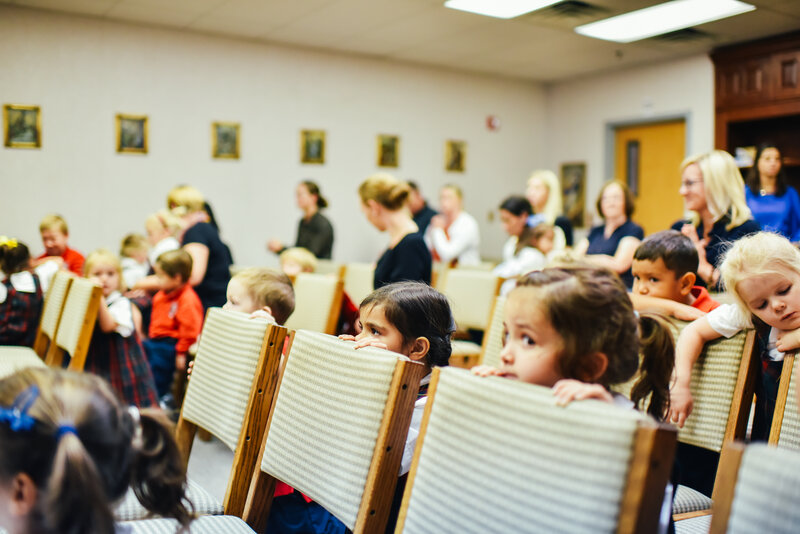 Children listen to gospel stories, and respond to them through songs, crafts and dramatization. They also develop a love for the Blessed Mother Mary, and experience reciting the Rosary. 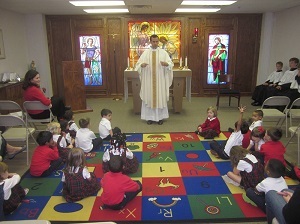 Children begin to understand the sacrifices Christ made for us as they experience the Stations of..